Jeremy is a partner in the EY-Parthenon practice of Ernst & Young Middle East and North Africa (MENA), based in Dubai. Jeremy leads the EY Transaction Advisory Services health care and life sciences industries efforts and commercial due diligence services in the MENA region, with a focus on private equity, principal investor and family business clients. He has deep knowledge in strategy development, operational improvement, acquisition due diligence, and complex cross-border M&A and integration efforts. With 12 years of transaction advisory experience, Jeremy has assisted clients with growth strategies, commercial and financial due diligence, and new market entry across the MENA region and Africa. 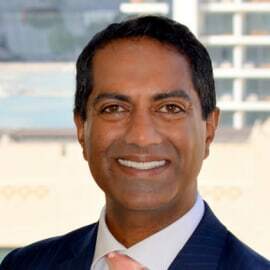 He has worked across a range of industries, with a strong focus on health care and life sciences, where he primarily advises on health care services, payer and provider sectors, as well as private equity transactions. Jeremy has been based in Dubai since 2009 and has worked extensively with clients in the Gulf Cooperation Council region. He joined the EY Dubai office in 2016 after serving as a strategy partner at a global advisory firm where he worked in its Dubai, Amsterdam and San Francisco offices. In addition to his work as an advisor, Jeremy served as CFO of a private equity-backed company in the Middle East for two years. Jeremy has a BS in Economics and an MBA from Columbia University in New York.